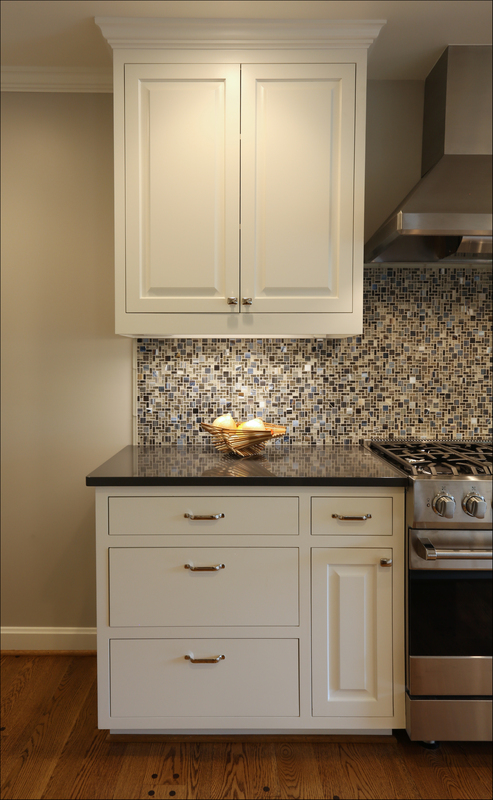 A backsplash is a great place to showcase your personality in the kitchen. Whether you are looking for a simple solution with a pop of color or a unique modern twist, there are endless options to choose from. 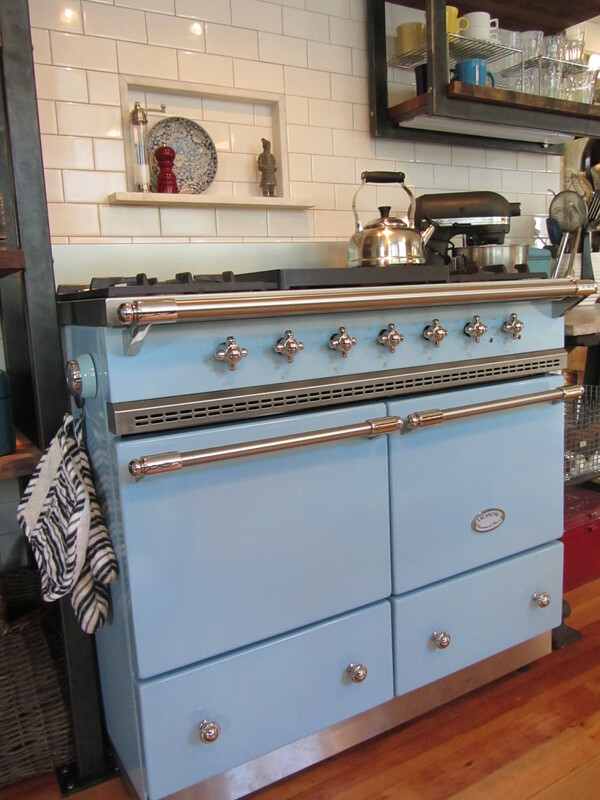 Add extra convenience with a niche at your range to store spices and oils or a special curio. Spice up your niche with a fun Arabesque tile. What better place to put a special curio that makes you smile. 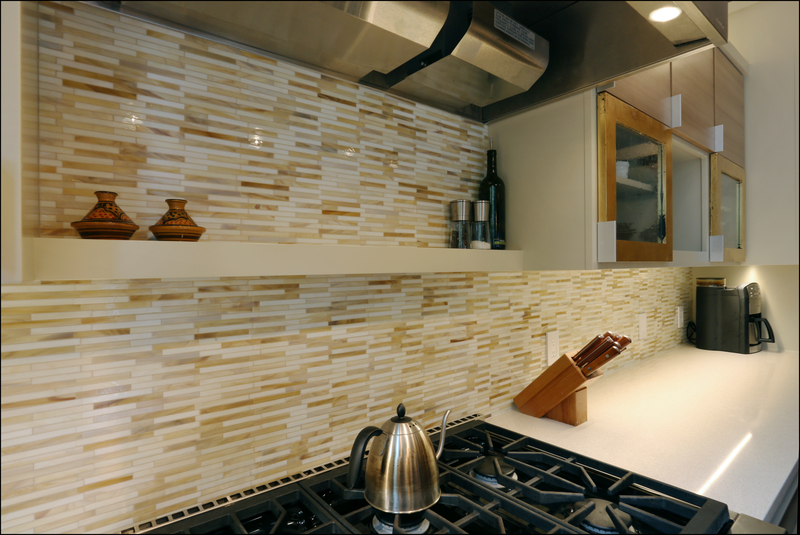 Add some pizzazz to a classic kitchen by selecting a colorful, yet subtle glass tile. Ocean lover? 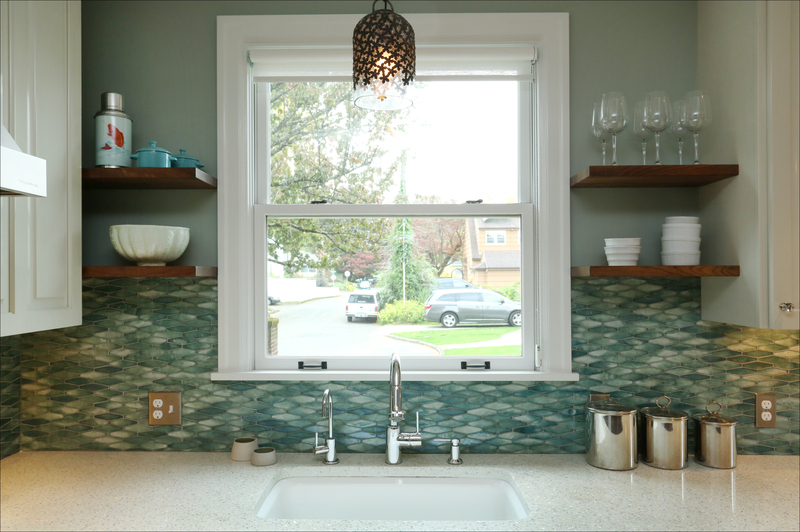 Bring the sea to your kitchen with a multicolored glass tile. Are you a salvage king or queen? Show off some of your treasures! 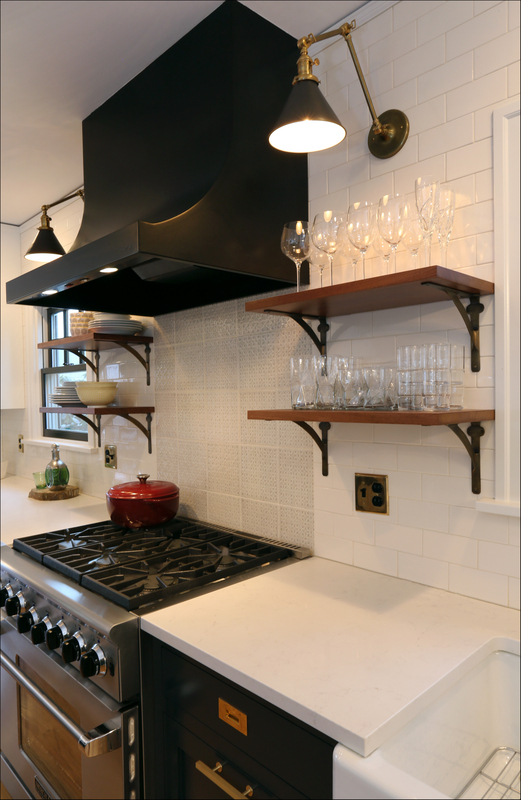 This tile was salvaged from the original 1913 kitchen and found a home above the range in the updated one! Maybe classic is your thing. Try breaking up a simple subway tile with a unique piece that adds an extra touch of sophistication. 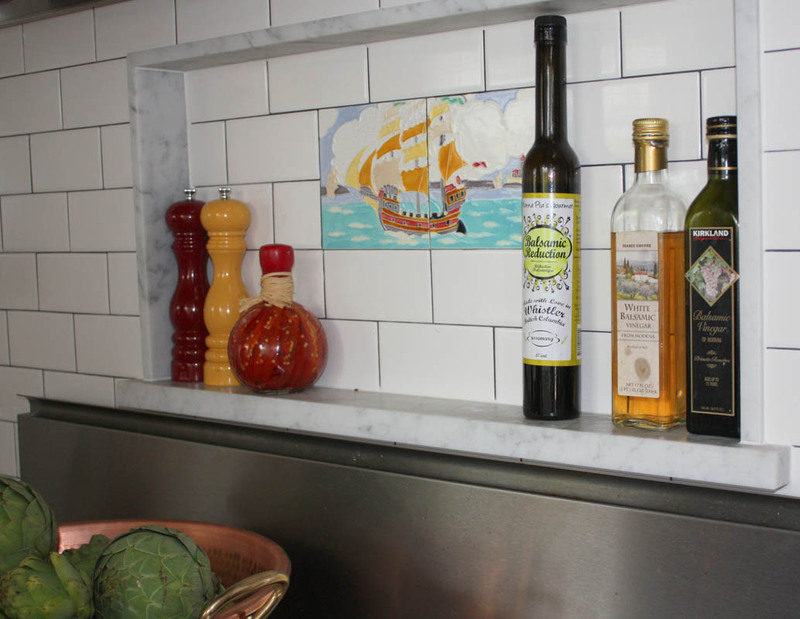 Break up the subway tile and showcase a gorgeous handmade tile. What about an option that looks more like art? Go with a large format tile that looks like wallpaper. Looking for a modern twist that’s easy to maintain? 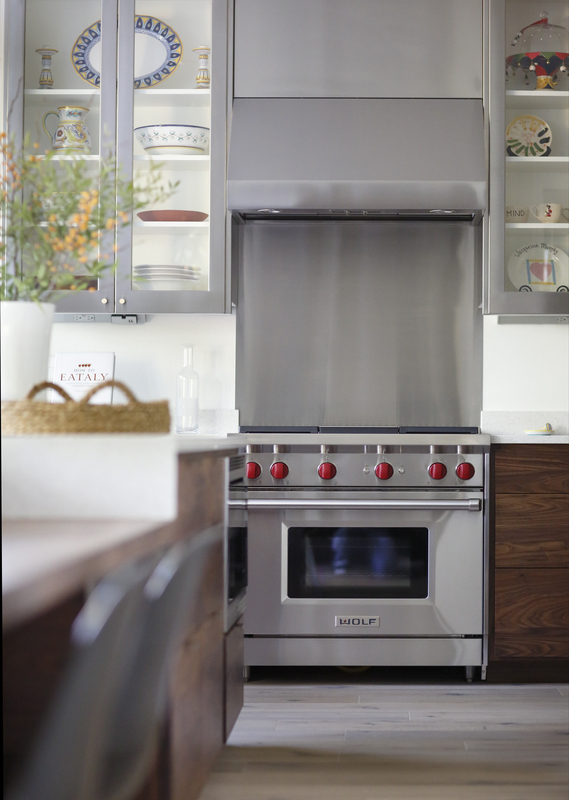 This client kicked it up with a stainless steel backsplash to complement their stainless steel cabinets and range. 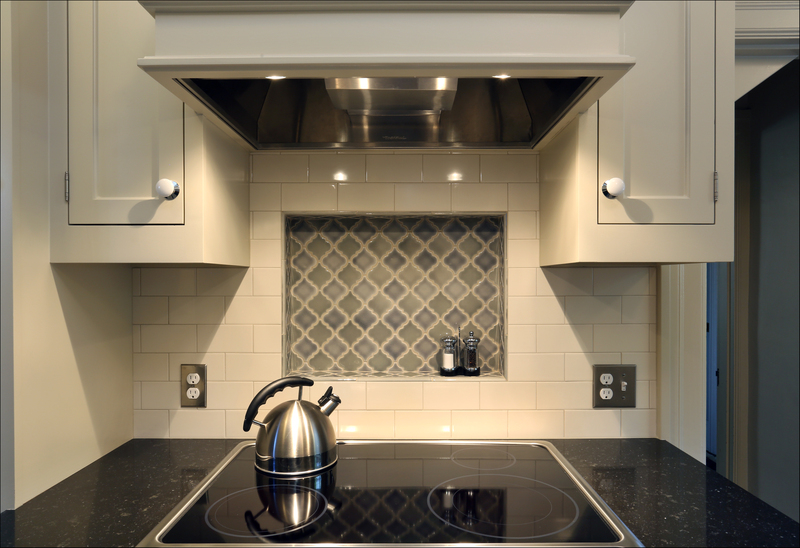 There are so many ways to give your backsplash personality, while respecting the era of your home. Let us help you find your perfect fit.